It has been 6 months since the coastal counties of North Carolina were devastated by Hurricane Florence. The worst natural disaster to strike our coastal communities in over fifty years left thousands of people without homes, vehicles and basic necessities in the days and weeks following the storm. Many local agencies jumped into action to provide immediate emergency food, clothing, toiletries and home goods replacement services, and national volunteer disaster recovery groups quickly headed to the area to assist with hands-on clean up and flood mitigation efforts. Local governments began massive infrastructure repairs, and FEMA set up a Crisis Center that registered thousands of people and their needs. United Way of Coastal Carolina responded to the crisis by establishing a Hurricane Florence Recovery Fund that has raised over $400,000 for the victims of a storm that impacted all four counties of our service area - Carteret, Craven, Jones and Pamlico Counties. 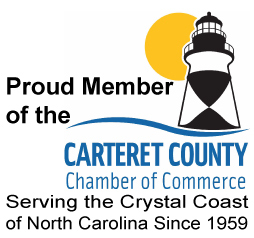 Also recognizing that our journey of recovery is a marathon, United Way of Coastal Carolina has become a part of Long Term Recovery groups in our area. In the months that have passed, many great things have been accomplished; but much work remains to be done to get families back into safe, clean and secure homes. United Way will continue to work with these local groups as stewards of donated funds in an accountable and meaningful way, knowing that returning families to their homes provides the foundation for good health, financial stability and improved education in our communities. With this in mind, we are highlighting things that donated funds have allowed us to accomplish.